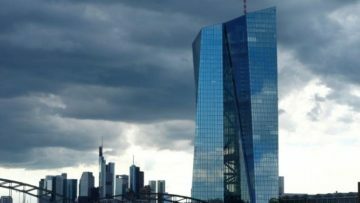 The European Central Bank plans to inspect Greek banks this year to monitor their progress in working off their huge pile of unpaid loans, ECB director Sabine Lautenschlaeger said on Friday. Greek banks have been cutting their share of non-performing loans (NPL) to companies and households, which account for slightly more than half of their books as a result of a severe economic crisis, to meet targets set by the ECB. The ECB supervises Greece’s four largest banks, or significant institutions (SIs), and is one of the three bodies responsible for the country’s bailout, along with the European Commission and the International Monetary Fund. “The ECB will perform on-site missions at the Greek SIs during the second half of 2017, a period in which the main operational measures to address NPLs … have to be already implemented,” Lautenschlaeger said in a letter to IMF chief Christine Lagarde. She was responding to an IMF request for information on the ECB’s supervisory work in Greece in the context of a possible IMFprogramme for the country. Greece secured a credit lifeline from euro zone governments earlier this month. The IMF offered Athens a standby arrangement but said it won’t disburse any money until it obtains greater detail on debt relief for the country.